The Committees began preparing for the worst but hoping for the best before Donald Trump was inaugurated. But President Trump has violated the Constitutional norms and laws of the United States in multiple ways since taking office. Whether by design or accident, the Trump Administration is violating the Constitution at such a rapid pace that it is hard to keep track of everything. That is why we have created this regularly updated page to offer a one-stop list of the Trump Administration's crimes for easy reference. 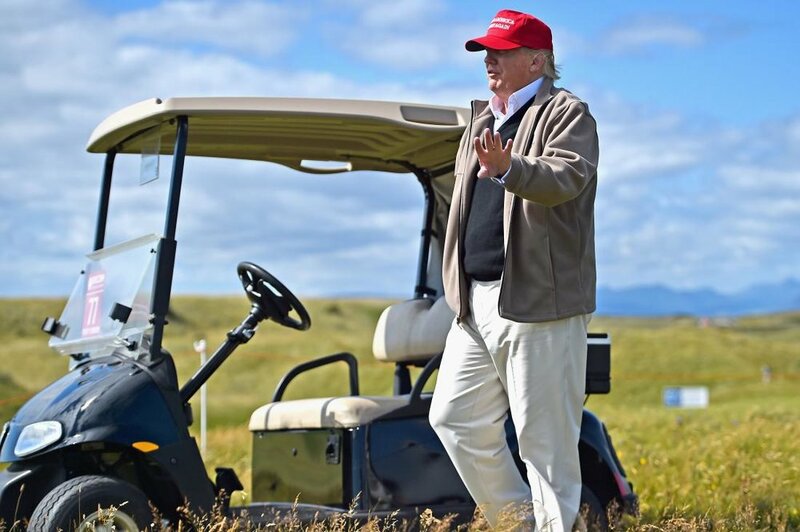 Donald Trump has spent about 20% of his time as president at Mar-a-Lago, his privately-owned golf course in Florida. This is a problem because Trump charges $200,000 per year to be a member of his club, a price that went up since he became President. This is selling access and influence, a clear form of corruption. Further, Trump uses taxpayer money to line his own pockets during every trip to Mar-a-Lago since Secret Service agents and staff are required to rent rooms at his resort. Selling influence is the definition of bribery and corruption. On top of that, Trump is looting the public treasury while he sells access and influence. The "Emoluments Clause" is a little-known but important part of the Constitution. It prohibits, in part, the President from receiving gifts or payment from foreign governments. 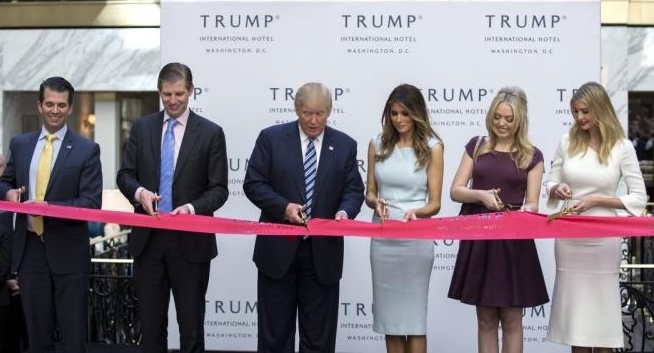 Donald Trump's hotels were losing money before his election as President, but since then foreign diplomats have been flocking to his hotel in Washington, D.C. Trump's D.C. hotel has become the place to be for foreign diplomats visiting Washington since the election. Congress should investigate how the rates at Trump's D.C. hotel compare to the market rate to see if there has been a violation of the Emoluments Clause. The Constitution allows the President to be impeached for "high crimes and misdemeanors." This phrase can commonly be construed to mean that the President must commit some sort of crime in order to be subject to impeachment. But when the Founding Fathers drafted the Constitution, they understood the words "high crimes and misdemeanors" to mean "high" in the sense of crimes that violated the public trust or attacks on the governmental system itself. Some of the following entries on this page fit this definition of "high crimes and misdemeanors" as the Founders understood the term. Trump's former National Security Advisor Michael Flynn allegedly coordinated with Turkish officials to illegally kidnap and extradite a U.S. citizen critical of the Turkish government. To be clear, top officials in the Trump Administration plotted to seize a U.S. citizen and deny him a fair trial in order to please the authoritarian leader of Turkey. This conduct by the most powerful officials in the Trump Administration violates the core values of the Constitution. President Trump implemented his Muslim Ban via executive order on January 27, 2017, which effectively banned people from 7 Muslim-majority nations from entering the U.S., including green card holders. This ban was almost immediately stayed via court order for violating the constitutional prohibition on targeting people based on religion or national origin via legislation. Trump then issued another executive order banning Muslim immigration to the U.S. from certain nations, which was again halted by the courts as unconstitutional. The President knowingly targeted people based on their religion and national origin in violation of the Constitution, a high crime. During the 2016 campaign, Donald Trump routinely promised to target the families' of terrorists and target civilian areas without warning. Since assuming office civilian casualties have dramatically increased in Iraq and Syria during U.S. operations, reportedly as a result of a loosening of the rules of engagement under the Trump Administration. Trump's violation of the Geneva Convention is a violation of U.S. and international law. 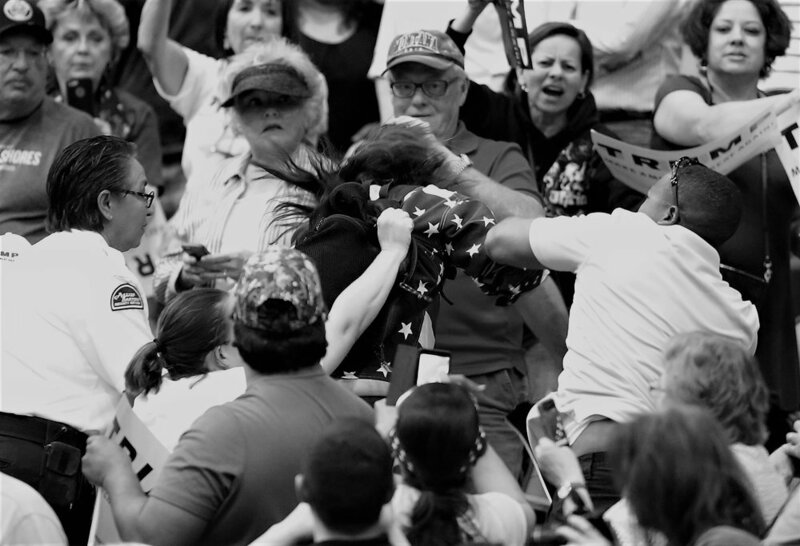 Donald Trump encouraged violence at his rallies multiple times throughout the 2016 campaign, and his penchant for turning a blind eye to political violence hasn't subsided since becoming President. Trump took weeks to condemn the murder of Indian immigrants by a white supremacist terrorist and a wave of threats against Jewish community centers, a stark break with prior Presidents, who have been quick to condemn such attacks that strike at the heart of our democracy. Trump has already been sued for inciting violence at his rallies, with a federal judge ruling that the claims Trump incited a riot were plausible. Our governmental system is based on resolving issues peacefully at the ballot box. Trump's encouragement and facilitation of political violence is a direct attack on our democracy. President Trump hired his daughter Ivanka and son-in-law Jared Kushner as senior advisers, with Ivanka's office only feet from the Oval Office. This is a problem because Ivanka and Jared are working in official roles at the White House all while controlling at least $700 million in financial and business holdings. The Trump Administration's corruption in this respect has been so blatant that top Trump adviser Kellyanne Conway has used her official position to hawk products from Ivanka's privately-owned fashion line. 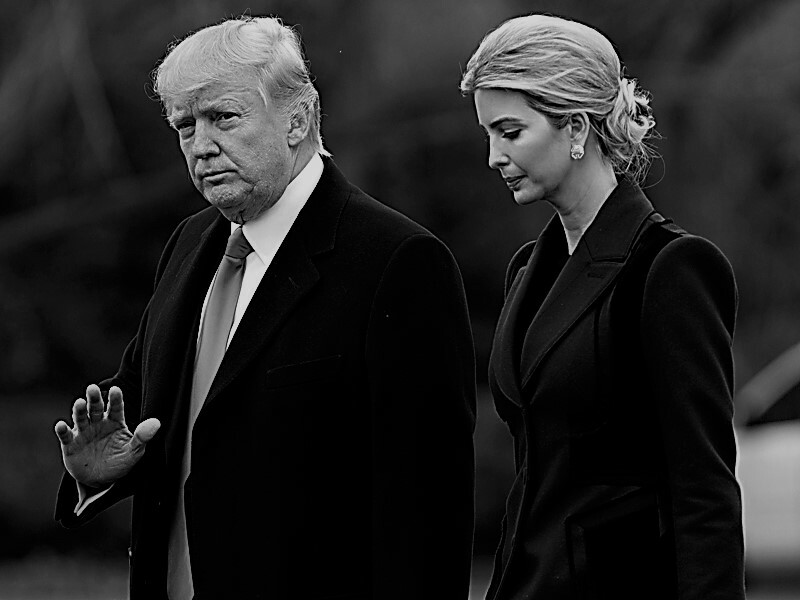 What's more, both Ivanka and Jared are outrageously unqualified for their roles, which include: representing the U.S. to world leaders, overseeing the fight against ISIS in Iraq, coordinating with Congress on criminal justice reform, advising on whether to strike Syria in response to chemical attacks, and heading something called the Office of American Innovation. Ivanka attended the same college as her father and from there started working for her father's company. Jared's father donated millions of dollars to Harvard and NYU so that he could attend those schools, then he worked for his father's real estate company, where he went on to lose hundreds of millions of dollars in bad real estate deals. Those are the qualifications of the two people that have been given an immense amount of power to act in our name by Donald Trump. Trump's nepotism is jeopardizing our national interests and allowing his family to enrich themselves at the public's expense. This is the type of corruption that rots our democratic republic. There is not enough space on this page to detail the corruption, double-dealing, and conflicts of interest that are rife throughout the Trump Administration. To provide a small example: Secretary of Health Tom Price used his prior position as a Representative to get rich through insider trading, Treasury Secretary Steve Mnuchin's former bank profited off of illegal foreclosure practices that forced innocent people from their homes, and Commerce Secretary Wilbur Ross knowingly operated the unsafe Sago Mine where 12 miners were killed in a collapse. A President that allows this type of corruption at the highest levels is committing a high crime by chronically abusing the public trust. 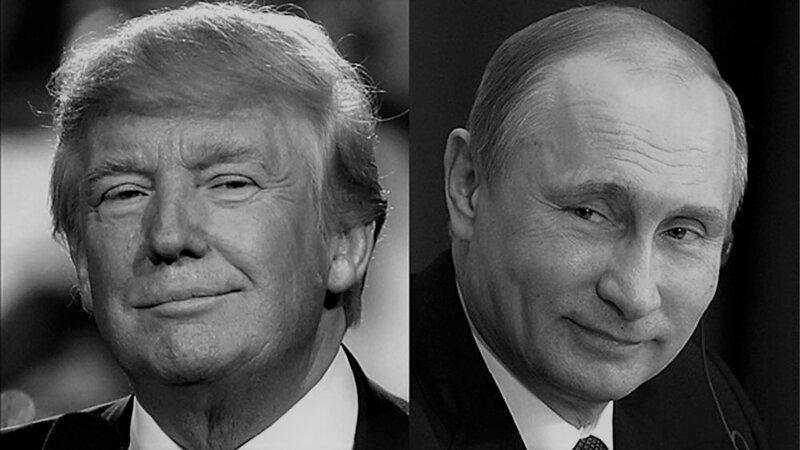 The list of President Trump's links to Russia's authoritarian leader Vladimir Putin are numerous and well-documented. There are the secret meetings in the Seychelles between Putin's representatives and the brother of Trump's Education Secretary. There is the fact Trump's campaign manager Paul Manafort appears to have been acting as a foreign agent for pro-Putin elements in the Ukraine, possibly during the 2016 campaign. Then there is the unprecedented fact that former Trump National Security Advisor Mike Flynn was on the Russian payroll and associated with Putin personally. This sort of collusion with a foreign authoritarian dictator is criminal. President Trump issued an executive order to explore the re-opening of "black sites" overseas where torture can be used on suspects during interrogations. Trump claims that even if torture is not effective, U.S. forces should still engage in torture because "they deserve it anyway, for what they’re doing." Trump has also appointed torture-advocates to positions of power, like CIA Director Mike Pompeo, who advocates for the use of simulated drowning during interrogations. The 8th Amendment makes the use of cruel and unusual punishments illegal. Not only does Trump's pro-torture policy violate the law, it also denigrates the best parts of what the United States represents.